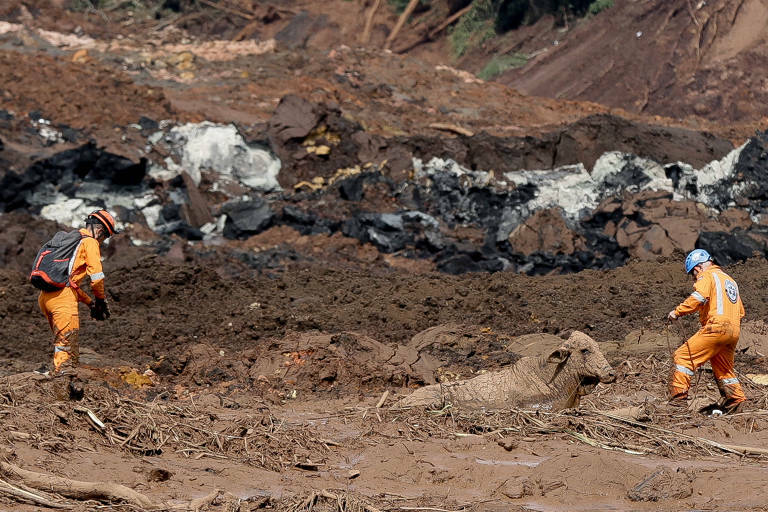 On the third day after the dam collapse at Brumadinho (Minas Gerais), the search conditions worsened, and the rescue teams didn't find any survivors. According to Lieutenant-Colonel Eduardo Angelo, the Fire Department commander in charge of the rescue operation, from now on the odds of finding live victims in "very low." However, he said that their families shouldn't lose hope. "Has it happened? Yes, I know of cases of people buried under a landslide who lived for over 30 days, but those are exceptions." So far, 58 bodies have been found, and from those, 17 identified. There are still 305 missing. Search teams have rescued other 192 live victims. On Sunday, the rescue efforts paused at 5:30 am when there was an alert of collapse at dam number 6, which holds in water. The risk was dismissed by early afternoon, but the rescue operations was still facing obstacles." As we progress through the mud, we find bodies. With each body found, we do the necessary work and go back to work through the mud again." The rescue teams expect that the more compacted mud will allow them to search with the help sniffer dogs. They might also use some special equipment brought by a mission of Israeli experts.